Italian shipbuilding firm Fincantieri has come out in support of Australia's local shipbuilding workforce, backing in Adelaide workers for the Future Frigates Project, if it is the successful tenderer. Leaked Defence department tender documents for the SEA 5000 project have revealed there is no mandate for the successful tender to utilise Australian shipbuilders, "an act of bastardry and deception on a grand scale", according to South Australian Senator Nick Xenophon. On Wednesday afternoon, Xenophon tabled a motion to scrap the "fundamentally flawed" tender process, which came to a close on August 7, a motion backed by Labor Senator Kim Carr and Greens Senator Sarah Hanson-Young. 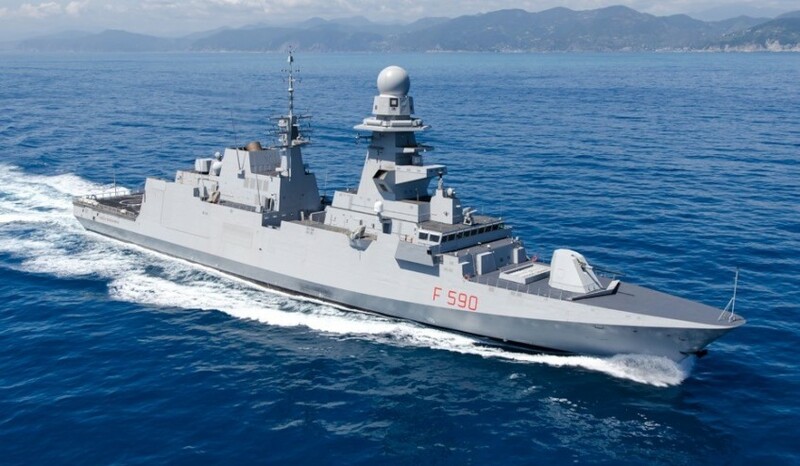 The Italian tenderer Fincantieri said it is committed to building Australia’s Future Frigates in Adelaide, maximising the use of Australian industry in the project and contributing to a world-class naval industry in Australia. "Fincantieri will have more say in coming months but our proposal will create long-term security for the Adelaide shipbuilding workforce, build a new advanced manufacturing industry nationally and would join Australia to our global network of 20 shipyards on four continents," said chairman of Fincantieri Australia, Dario Deste. Fincantieri has put forward its FREMM-class frigate in its bid for the $35 billion project. Fincantieri's FREMM frigate ITS Carabiniere, of which its FFP bid designed is based on, visited Austraia earier this year. The Italian shipbuilder is competing against Spanish firm Navantia and UK company BAE Systems for the project. Both tenderers have also committed to utilising an Australian workforce for the SEA 5000 project. Navantia Australia's managing director Donato Martínez said Navantia "is committed to using the Adelaide workforce and Australian industry for the F-5000." "We have already been working closely with the shipbuilding workforce in Osborne for a number of years," Martínez said. "When we already have an experienced shipbuilding workforce in Adelaide, why would we look anywhere else?" BAE Systems Australia CEO Glynn Phillips also said: "Our commitment is to build the ships in Adelaide and maximise Australian content in every way possible. As we have said previously, we will build an Australian ship with an Australian workforce. The current ship building workforce in South Australia is highly skilled and lies at the heart of our plans to construct the vessels. If you are a South Australian ship builder today, you can be confident you will have a great future if we are successful." The SEA 5000 project will see nine frigates constructed for the Royal Australian Navy. The frigates will incorporate the Australian-developed CEA Phased-Array Radar and the weaponry will be American.